HDFC Bank said that the new interest rates on deposits below Rs 1 crore for various tenors will come into effect from Tuesday. HDFC Bank Ltd. on Tuesday raised interest rates on deposits of various tenors by up to 50 basis points, while Bank of Baroda hiked lending rates by 10 basis points. 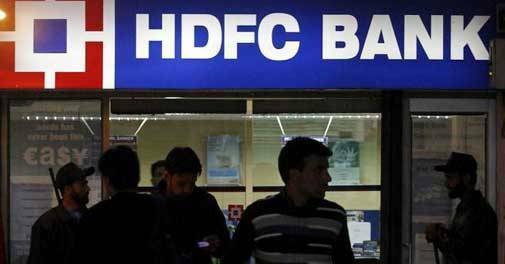 In a statement, HDFC Bank said that the new interest rates on deposits below Rs 1 crore for various tenors will come into effect from Tuesday. The rate on deposits with tenor of five-eight years and 8-10 years has been increased to 6.5 percent from 6 percent. The rate has been hiked to 7.25 percent for fixed deposits of three-five years from the earlier 7.1 percent. The fixed deposit rate for one-year tenor has been fixed at 7.3 percent, up from 7.25 percent. State-owned Bank of Baroda announced a hike in its marginal cost of funds based lending rate effective Wednesday. The interest rate for different categories of borrowers are pegged at the MCLR. "MCLR has been reviewed at 10 basis points above existing level with effect from Nov. 7" the bank said in a statement. The bank's one-year MCLR will be 8.65 percent, which is competitive as per the current market scenario, it said. For all other tenors -- overnight, one month, three months and six months -- rates are at 8.15 percent, 8.20 percent, 8.30 percent and 8.50 percent, respectively. The bank further said that it did not add any mark-up on its MCLR for its best-rated home loan borrowers. One-year MCLR, that is 8.65 percent, is applicable irrespective of the total home loan amount and is available for a tenure of up to 30 years, it added.